David Major, is a current and original member of the Board of Directors for the International Spy Museum. He is a retired FBI Supervisory Special Agent who was the first FBI executive detailed from the FBI to be the Director of Counterintelligence, Intelligence and Security Programs on the National Security Council Staff under the Reagan Administration. He will provide a one and a half hour briefing on a quarterly review. 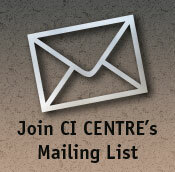 Presented in partnership with The Centre for Counterintelligence and Security Studies (CI Centre), these updates will cover worldwide events such as newly emerging espionage, economic espionage, technology diversion cases and arrest, cyber espionage incidents, and domestic and international terrorist activities. Major uses his expertise to analyze trends and highlight emerging issues of interest to both intelligence and national security professionals, private sector professionals and the general public. Cases are drawn from the CI Centre’s SPYPEDIA®, the most comprehensive source of espionage information in the world, containing events and information that may not be reported by mainstream media outlets.